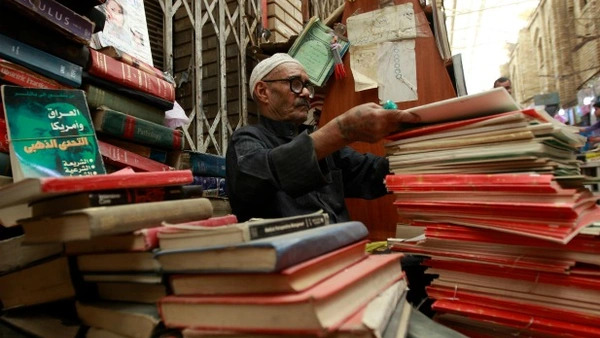 A vendor sells books at Mutanabi Street in Baghdad (Mohammed Ameen/Reuters). Mohamed Ozon explores life in Damascus today through the lens of the city’s taxi drivers. Ravy Shaker, in a photo essay, takes a look at life inside women’s prisons in Egypt. Quentin Muller investigates the lucrative business of meteorite trading in Morocco.